Between the vast desert lands in Utah to the high Rocky Mountain peaks in Colorado, there are plenty of types of zipline terrain to cover. Wondering where you can head for a zipline tour this fall? Here is our opinion of the most epic courses this side of the Mississippi. Located in southern Colorado close to New Mexico is this whopping 27-line course. This full day trip’s longest line spans over 1,400 feet and you even get a lunch included in the price for after your tour. Served in the trees, you can sit back and refuel after your action-packed day. Conveniently located just west of Denver, Colorado, this 6-line course yields breathtaking views of the Continental Divide and an assortment of aerial obstacles along the way. Included is a 50-foot free fall off a suspended bridge. 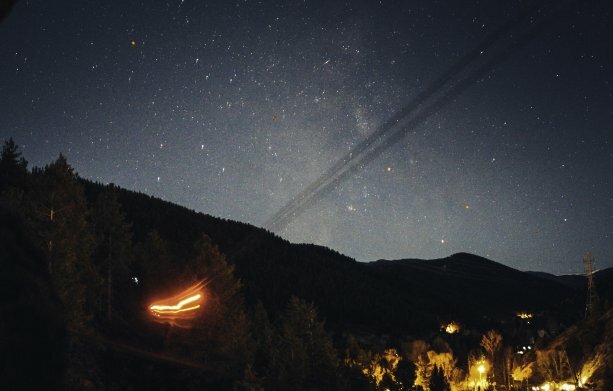 You can even venture out on this course at night for a Starlight Zipline tour if you prefer cruising among the mountaintops under the Milky Way. If you’ve got the itch to go ziplining in the dead of winter, you’re in luck at Royal Gorge Zipline in Cañon City. This course has 20 lines and offers 2 different zipline tours: the first being a classic family fun trip with 9 lines and the second being their extreme zipline with 11 lines and you could reach speeds of up to 60 mph. Both trips offer fantastic scenery just adding to great experience. Many venture to Buena Vista for the scenery, rafting, hiking, rock climbing, and biking every summer. Pair your outdoor activities with a soar among the treetops nestled at the base of the Collegiate Peaks. AVA’s Mountaintop Zipline has 7 lines, as well as a Dual Race zip that will push your limits on speed. The Canyonlands Zipline in Moab, Utah will provide some great views of the dessert for a change of scenery. It runs mid-February through the end of November every year. Catch sights of Arches National Park, the Colorado River, and the La Sal Mountains on this course The trip starts with an off-road adventure in a Polaris Ranger followed by climbing of some rock formations, then a nice walk to where the zipline begins. There are suspension bridges, a plank, and a lot of other cool aerial obstacles on this zip course. This park in the beautiful area of Lake Tahoe, California is equipped with 10 courses – 2 beginner, 6 intermediate, and 2 advanced. 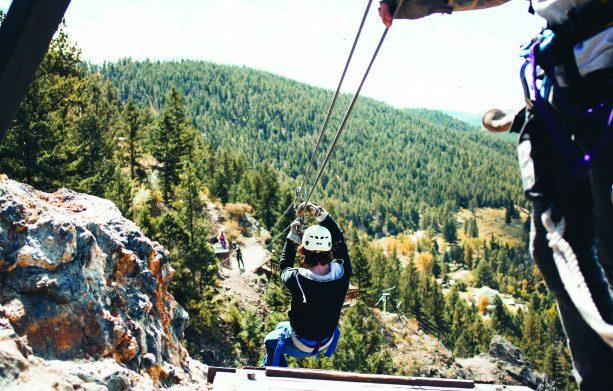 Fit with plenty of suspended bridges and a mass amount of ziplines, there is something for every generation at the Tahoe Treetop Adventure Parks. Who’s ready to view the fall foliage on another level? Lower elevations trees aren’t quite turning yet, but Colorado’s aspens are a vibrant yellow and this weekend would be a perfect time to try out a new zipline course.